We are grateful to all that have joined the BloomSky weather network through the Community Outreach Program (COP). 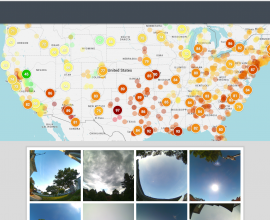 Participation in the Community Outreach has been more enthusiastic and has reached a broader audience than we could have hoped for; and thanks to our flourishing community, the COP has been indispensible in expanding BloomSky’s hyper-local, real-time visual weather network. Thanks to your participation, as well as some generous financial backing to support the COP initiative, we have deployed over one thousand new BloomSky weather stations – increasing the network by over 50% – during the first quarter of 2016, and we have additional already-confirmed locations pending. Understandably, there has been frustration due to the delay in shipping weather stations for the remaining COP participants. This delay was a result of higher than forecasted COP participation combined with a spike in retail orders, regrettably coinciding with unexpected interruptions on the manufacturing side. BloomSky and its principals are committed to fulfilling every pending order that has been accepted into the Community Outreach Program – if you paid your shipping costs, you will receive your weather station. Of the pending COP orders, most will be fulfilled from a shipment of BloomSky weather stations that will arrive and ship back out during the weeks of March 21st and 28th, 2016. Any remaining COP participants will receive their shipment from the following delivery of inventory; our manufacturing partner in China has confirmed this next “batch” will arrive during the week of April 25th. The COP orders will be shipped from our third-party warehouse throughout the following week and a half in the sequence in which the order was placed. 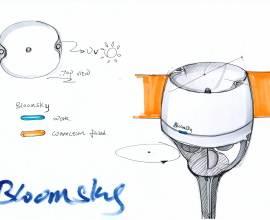 We eagerly look forward to delivering BloomSky’s amazing weather technology. We sincerely apologize for the delay, and appreciate the patience and enthusiasm of all the COP participants eagerly awaiting delivery of their BloomSky weather stations. We understand if participants are not willing to hold out until the end of April for the next COP shipment. If you’d prefer to withdraw from participation in the Community Outreach Program, or if you have additional questions or concerns please contact us at info@BloomSky.com. Are we allowed to access the raw data and video feed on our own stations? Sorry you’re having issues connecting on the BloomSky app. 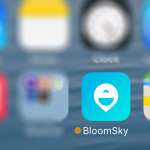 If this problem persists, please contact our support team (support@bloomsky.com) so we can look into this further. We haven’t had any reports of connectivity issues, so we would indeed like more details on this. 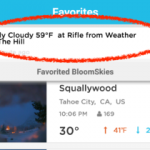 You are correct, aside from some users linking their stations to the WeatherUnderground network, we do not currently have a partnership with any other weather outlet. We have our own cloud server that stores the data – one which is currently going through a slow but steady upgrade. As for connecting to the station locally, no unfortunately that isn’t possible for a few reasons, but mostly because much of the raw data sent from the device is not direct data and has to be converted before it can be displayed as you see it in the app or dashboard. 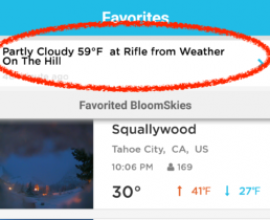 However we do have an API that you can take advantage of (read more here: http://weatherlution.com/bloomsky-api/). 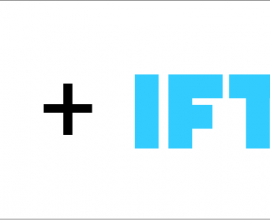 You can use that to pull data direct from the server rather than through the mobile app, however it does require some programming knowledge.